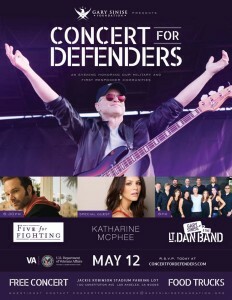 On Friday, May 12th, the Gary Sinise Foundation hosted their inaugural completely free “Concert For Defenders” event. Located at the Jackie Robinson Stadium Parking Lot at the West Los Angeles VA Hospital, the program began promptly at 6:30pm. 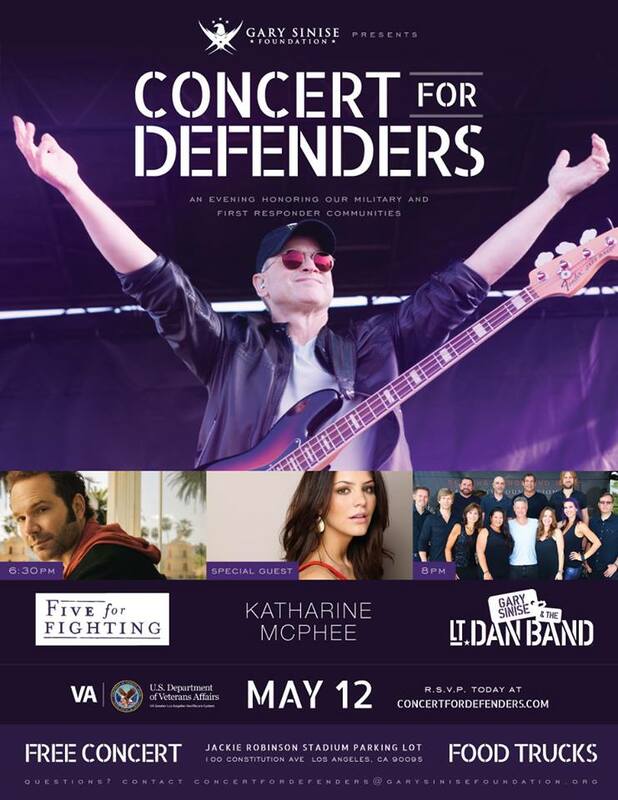 It included performances by singer-songwriter Five For Fighting, pop singer and actress Katharine McPhee and well-known actor Gary Sinise & his Lt. Dan Band. Several food trucks also lined the perimeter of the event. All Access was happy to attend the event with the organization Pin-Ups For Vets. This non-profit raises funds to improve Veterans’ healthcare, donates funds to VA hospitals for medical equipment and program expansion. 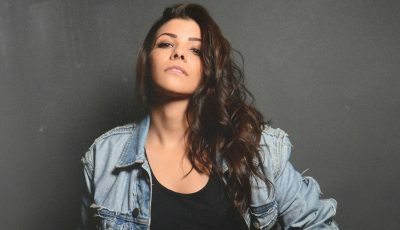 They create Pin-Up calendars and hand-deliver them to Veterans at their bedside in VA hospitals around the U.S. 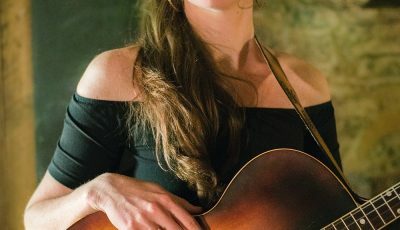 Along with all the music, several speakers also spoke on stage about their experience with Veterans organizations and the importance of coming together at events like this one. 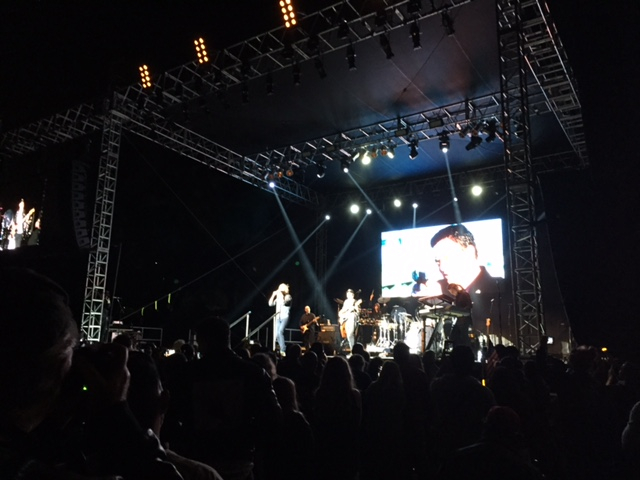 The crowd was incredibly happy and eager to see all three acts perform. Gary Sinise and his Lt. Dan Band really got the crowd going with their covers of hits from Bruno Mars, Gloria Estefan, Mariah Carey, Dave Matthews Band, The Who, Stevie Wonder, The Charlie Daniels Band, Andy Grammer, The Andrew Sisters and a whole lot more! The Lt. Dan Band is full of amazing musicians and their energy was intoxicating. The audience was eager to dance along to their tunes. 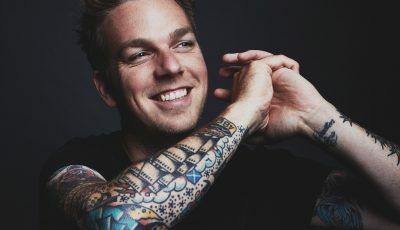 An Interview With The Electronic Trio, RÜFÜS DU SOL, On New Music and More!